Cash Cuisine online scratch card | Win up to £100,000! 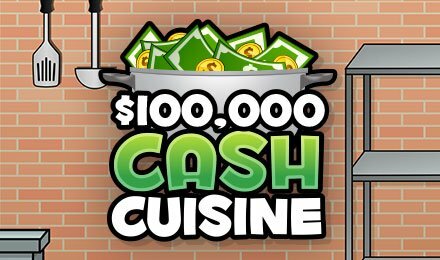 Play Cash Cuisine scratch card game today and get ready for the tastiest wins! Uncover 3 delicious items to win – it’s as easy as pie! As the saying goes, if you can’t handle the heat, stay out of the kitchen! But don’t worry – the Cash Cuisine kitchen has just the right amount of heat! Each menu item is worth a different amount, and all you have to do is uncover 3 matching items to win! The best part – you can win up to £100,000! If that won’t satisfy your cravings, not sure what will! Good luck!